The Brexit negotiations have turned nasty already. Well, that escalated quickly. Just last week, Trumpet contributing editor Brad Macdonald and I discussed the potential difficulties of Brexit negotiations. “Will the negotiation, and even the broader [European Union]-Britain relationship, become vindictive?” he asked. Now a former government minister is on tv, threatening war with Spain, and the Telegraph is publishing articles boasting that the Royal Navy could beat the Spanish. “The row erupted after the European Union put the future of Gibraltar at stake in Brexit negotiations by effectively backing Spain in its long-running dispute with the [United Kingdom] over the British Overseas Territory,” wrote the Telegraph. It’s an aggressive move, from both Spain and the EU. The suggestion that Madrid might have a say over the status of the self-governing territory, which is home to important UK military bases, prompted alarm among its 30,000 inhabitants. In two referendums in 1967 and 2002, Gibraltarians voted overwhelmingly to remain a part of the UK and not forge closer links to Spain. Spain are taking this very, very seriously. I think there is support across the board among the member states. Why not? It is not a problem that was born yesterday. It has been with us a long time, and we have always listened to both sides. Now we are going to support the member state. That is the philosophy behind it. I wouldn’t think any of the 26 other states will somehow try to undermine this clause. Spain’s newspapers are celebrating. El Mundo called it a “victory” for Spain. “Gibraltar: The Spanish Government Reaches Its First Triumph After Brexit Negotiations Begin” was a headline in the Spanish abc newspaper. “Whether it’s asking for a bailout or fighting for Gibraltar, we fight tooth and nail,” said Spain’s deputy prime minister, Soraya Sáenz de Santamaría. “It is unfair; it demonstrates that Spain will use any opportunity to try and advance its claim to Gibraltar,” he said. 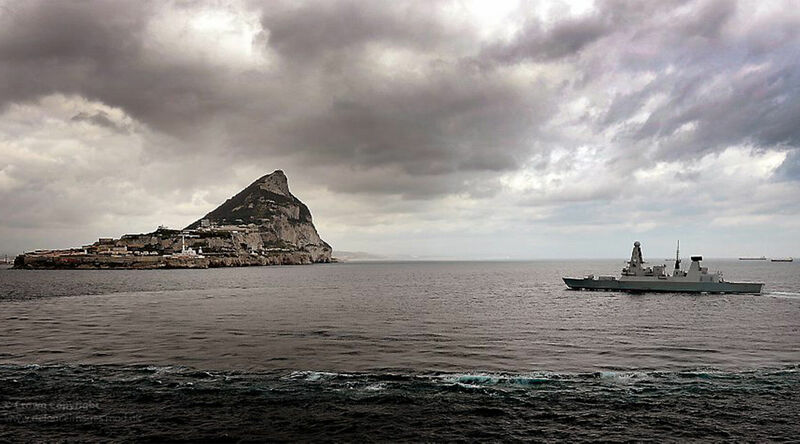 Spain’s push to gain leverage over Gibraltar prompted outrage in the UK. Defense Secretary Sir Michael Fallon said that Britain would go “all the way” to protect Gibraltar. Spain has struck back by threatening Scottish independence. Spain has its own separatists regions, most notably Barcelona. In order to discourage these regions, it has discouraged Scottish independences, promising to block an independent Scotland’s road to the EU. But now Spanish Foreign Minister Alfonso Dastis has changed policy, announcing that Spain would now allow Scotland into the EU. The fact that the EU launched without reservation into a diplomatic assault on the issue of Gibraltar gives a good indication of what negotiations are going to be like. Some have pointed out that a good deal with Britain is in Europe’s own economic interest. That may be correct (though there are some reasons why it may be incorrect), but it’s clear this is not about economic self-interest. Europe is already turning vindictive: The Union wants to punish Britain for leaving. Herbert W. Armstrong forecast that Britain would lose its strategic sea gates in his most popular book, The United States and Britain in Prophecy. The first version of this book was written back in the 1930s! Since then, Britain has lost its empire—and given away vital gates such as Hong Kong and the Cape of Good Hope. This is why the Trumpet has consistently forecast that Britain will lose Gibraltar too. This latest push by Europe could help bring this about. For more on why we watch the loss of Britain’s and America’s sea gates, read “Changing of the Guard” from our free booklet He Was Right.